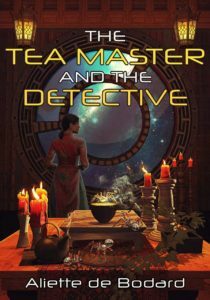 I write Sherlock Holmes pastiche, the collective name for that vast body of reinterpretations from other creators featuring Sherlock Holmes & Co. My own particular contributions are the Lady Sherlock historical mysteries, which posit that the fictional character adventures of Sherlock Holmes were actually based on the real-life exploits of a woman named Charlotte Holmes. People often ask me which are my favorite Arthur Conan Doyle stories. I have a confession to make. 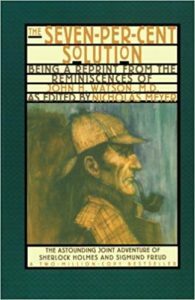 As much as I enjoy the original canon, my favorite versions of Sherlock Holmes are all found in the pastiche. Compared to a lot of other Victorian literature, which can be amazingly ponderous, the original Sherlock Holmes canon is remarkably fast-paced and readable. And the character of Sherlock Holmes remains fascinating, after all these years, for his combination of razor-sharp mind and Bohemian eccentricity. 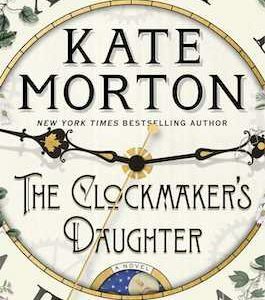 But as good as the canon stories are, they are still the products of their time. And as inventive an author as Arthur Conan Doyle was in his plots and in his most enduring character, he did not dig as deep into the mind and psyche of Sherlock Holmes as later writers did. Some of those later writers also managed to imbue their Sherlock Holmes reinterpretations with far greater emotional resonance. I read for emotional impact, so it’s not surprising that I should prefer some of these later versions of Sherlock Holmes. What is surprising is the intensity my favorite creators have imbued their iterations of Sherlock Holmes, while retaining the latter’s cerebral detachment. But the emotions seep through at the edges, hints of yearning, bewilderment, pain, vulnerability. Yes, I think that’s what I treasure most about these particular versions of Sherlock Holmes, that they took an icon and made him—or her, for that matter, as is the case in one story below—human. This is the first Sherlock Holmes pastiche I’ve ever come across, so I have to include it for reasons of nostalgia, if nothing else. I still remember when and where I read it. 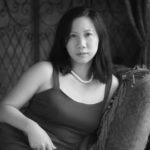 I was living in China then, a fifth-grade student on the track and field team. We were at either a school-district or a city-wide meet. The athletes were put into tents. While I waited for my events—long-jumping and high-jumping—I tore through the Chinese translation of this book, completely caught up in the plot. And I was both astonished that Sherlock Holmes’s drug use, barely a factor in the original tales, should play such a huge part in this adventure—and that I had no trouble holding both of those versions in my head. I started this book on audio. It was 2006, long before—for me at least—audiobooks were easily carried around on phones, available any time. In fact, I’m pretty sure my version of the audiobook was on cassettes, which I could only listen to in my car. Because I didn’t drive enough, I became so impatient for the rest of the story that I got the paper version too! The character of Mary Russell amazed me. It was the first time that I had come across a woman depicted with such unapologetic genius. 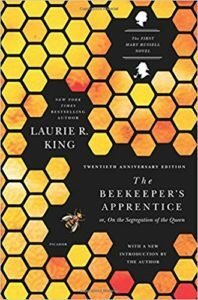 She was the equal of Sherlock Holmes, her eventual partner and husband, in every way. Reading their story, I thought to myself, wow, this is so good, I wonder if I could ever do anything like it. 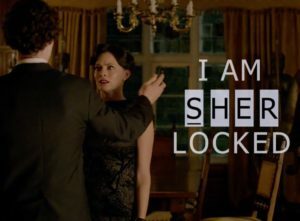 The BBC Sherlock’s version of A Scandal in Bohemia, is, for me, the single best instance of dramatic interpretation of a Sherlock Holmes story. And it was while watching season 1 of the show, that my until-then rather nebulous desire to perhaps write a Sherlock Holmes retelling someday became a concrete plan. BBC Sherlock already made Sherlock Holmes thoroughly modern. 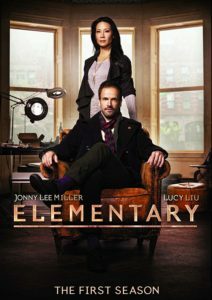 Elementary on CBS already made Watson a woman. There was nothing left to do except to make the character of Holmes a woman. Sherlock had so much dazzle and style that it easily overshadowed Elementary, the CBS series. But whereas Sherlock’s great weakness became apparent in later seasons—its main characters never changed and never grew, a flaw that after a while, no frantic plot or editing could disguise—Elementary put in solid work in the character arena, forgoing flash for actual, satisfying development. I was probably looking for inspiration for Lady Sherlock book 2 when I lugged home an enormous volume of Sherlock Holmes stories penned by everyone under the sun. 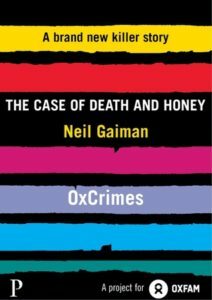 And Gaiman’s story, of a retired Sherlock Holmes traveling to a distant land to investigate an odd colony of bees, is the one that stuck with me afterwards. 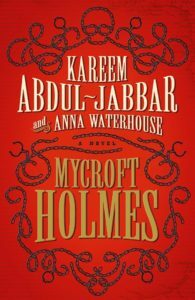 I am also looking forward to Abdul-Jabbar’s take on Mycroft Holmes, the more brilliant Holmes brother, as a bon vivant who learns that he must do than simply enjoying himself in life, that we are all one another’s keepers.